Birdhouses are charming and can be helpful to our winged friends. But what to look for when shopping for avian real estate? First, remember the birds! While you may be in the market for something whimsical, there are a few caveats to consider, before you acquire a dwelling for your feathered friends, or you could actually be doing more harm than good. Birds that nest in birdhouses are tree-cavity dwellers. They are merely looking for a hole to line with twigs, grasses and other soft, protective materials. They require a safe, cool place to nest, free from predators and sky-high temperatures. 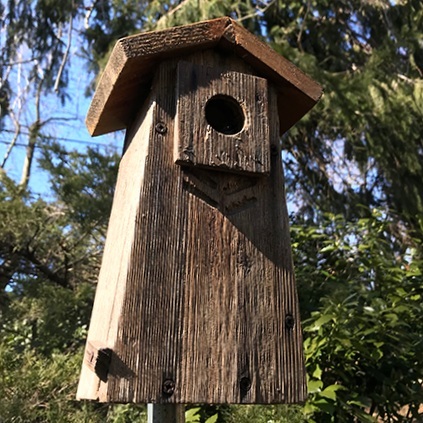 Birds that nest in nesting boxes in Westchester include sparrows, tufted-titmouse, chickadees, nut-hatches, and woodpeckers. Many of these species will do just fine without human intervention, but some will indeed make their nests in birdhouses. However, birds are minimalists. Bright colors can attract predators. Ornate entranceways and perches could harm fledglings as they take their first unsteady flights, and materials like clay and metal can create hot-boxes that will harm fragile eggs and young birds as temperatures rise. 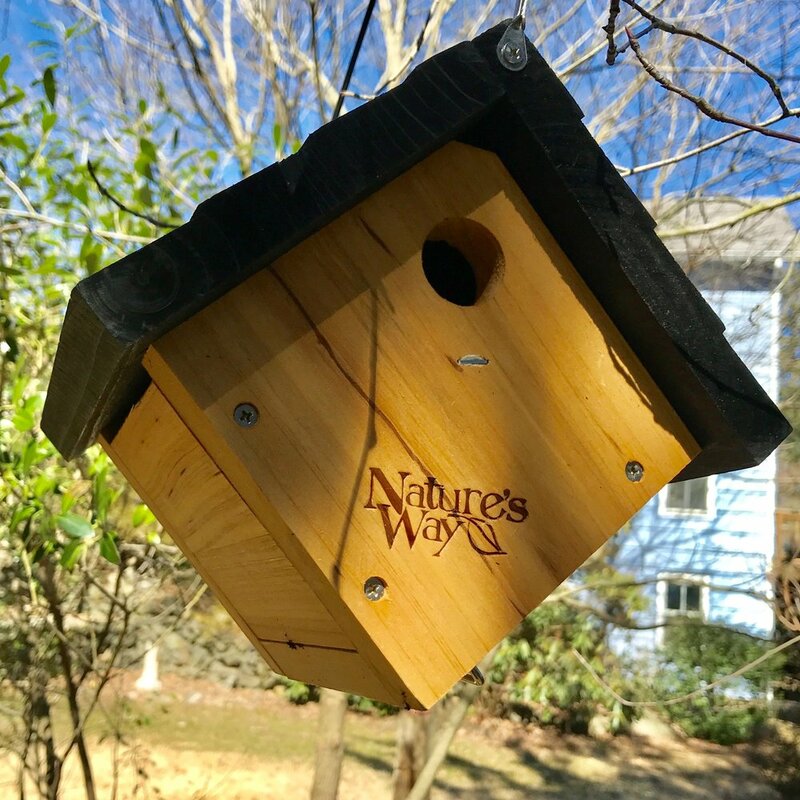 Be sure there are air holes that allow fresh air to circulate, and that your birdhouse is easy to open and clean of debris and mites once the season passes, so the house will be ready for a new nesting pair in the spring. 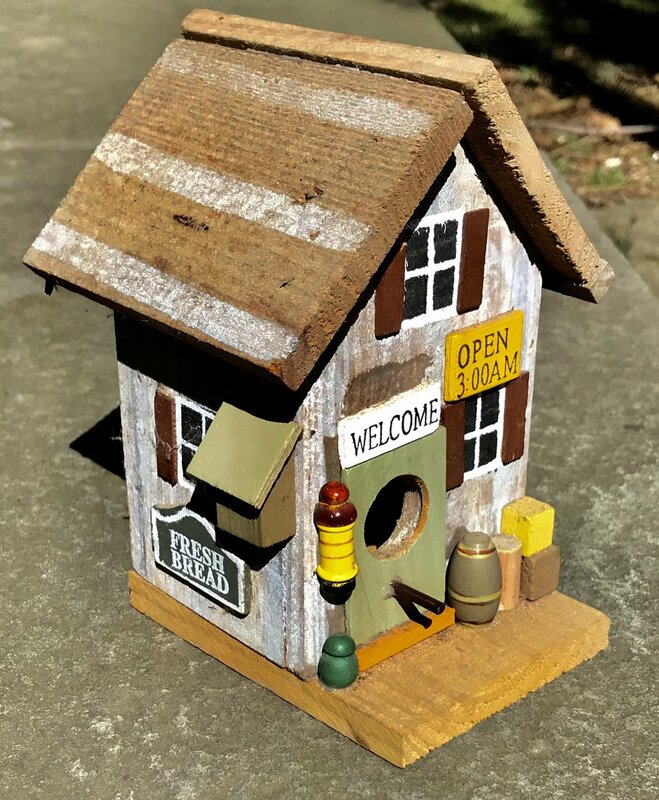 So, if a birdhouse strikes your fancy, and you hope to bear witness as a local family of nuthatches, or a couple of chickadees raise their young, choose a species-specific birdhouse from a reputable retailer that specializes in birdhouses that are truly fit for the birds. (Audubon.com has excellent recommendations!) Be sure the structure is made from organic materials and has a simple entranceway (a hole large enough for the species you hope to attract), and has a natural wood finish, without bold, bright colors—remember– birds are shy about their addresses, and usually nest in out-of-the-way places that shield eggs and young from curious on-lookers and hungry hawks. The birds are getting busy, so you will want to examine your property now to locate the perfect spot for your new birdhouse, where you can discreetly watch as local bird species make their home. Your spring garden will soon be alive with the sound of baby birdsong. Good: Wall lifts for easy cleaning. Vents in roof. Bad: Tiny feet get caught. Hole too low.